The Wolfbats are an exciting four piece from Perth’s northern suburbs smashing out gritty melodic punk’n’roll – they’re fun yet heartfelt and raw. The depth of The Wolfbats’ sound begins in Becky Thomas’ explorative guitar work where emotive alternative tunings layer with crunchy riffs and thick chords. Memorable hooks are driven by Joe’s growling, urging bass lines and pushed to the max with a hurricane of energetic and powerful drumming by John. Entwining this together are the commanding vocals of Elise with her honest and evocative lyrics. With an explosive energy live on stage, The Wolfbats burst out of the starting gates in April 2018 earning support slots with local heavyweights such as The Decline, The Bob Gordons and Blindspot and East coast legends The Flangipanis and Blind Man Death Stare on the Perth leg of their national tours. 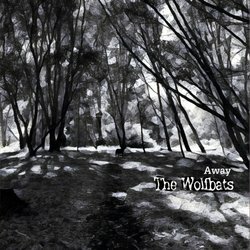 The Wolfbats just released their debut single alongside Bodyjar at the inaugural Mad Hatter Fest.